Gangling Khentul Rinpoche (also known as Lobsang Tenzin Tulku Rinpoche) was born on 8th March 1926 in Lhasa city, to a couple serving at the Langdul family, the family of the great 13th Dalai Lama. His Holiness the 13th Dalai Lama recognized Rinpoche to be the incarnation of Dokhang Yangten Tongnyl Khenpo Tenzin Phuntsog (Abbot of Gaden Shartse Monastery). Thus, he was brought to the monastery and enthroned as Gangling Khentul Rinpoche at the Gaden Shartse monastery. Rinpoche embarked on his monastic training and studied all the field of Buddhist studies at the prestigious Gaden Shartse monastery. 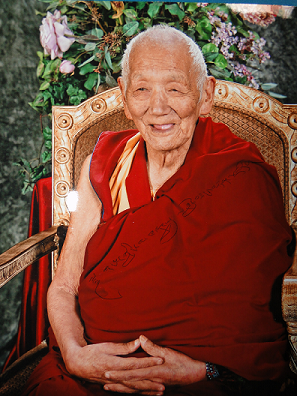 In the year 1948, he was conferred the degree of Geshe Lharampa at the age of 22. After that, he joined the prestigious Gyuto Tantric University to study Tantra under the guidance of the Gyuto Abbot Drepung Loseling Gowo Drugdag Rinpoche. In 1959, Rinpoche left Tibet with His Holiness the 14th Dalai Lama and resettled in India where he became the spiritual teacher for over 25 years. In the year 1987, His Holiness the 14th Dalai Lama appointed Rinpoche the abbot of Dhankar Monastery in Spiti India and he is serving on the post until now. 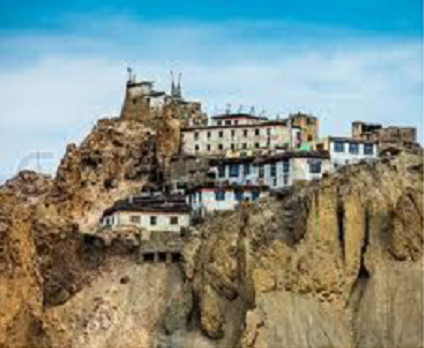 Shanti Deva Monastery to be built in Dharamsala - India will be a multi-function facility to primarily preserve and promote the Tibetan Buddhist Dharma teachings. It will provide the much-needed facility for Dharma Teachings for both monastic and lay people. It will be the guest house for monks to stay during the teachings giving by His Holiness Dalai Lama in Dharamsala as well as elderly monks from Dhankar Monastery in Spiti during the winter time (due to the high elevation of Dhankar and the winter cold affecting the health of elderly monks). This facility will also house a Stupa to benefit sentient beings for many generations to come. The cost estimate to procure the land and build this functional facility is US$150,000. An additional fund will be needed to invite Buddha statues, furniture, and basic dormitory amenities. Please help to DONATE today! Again, thank you for your kindness and supports. 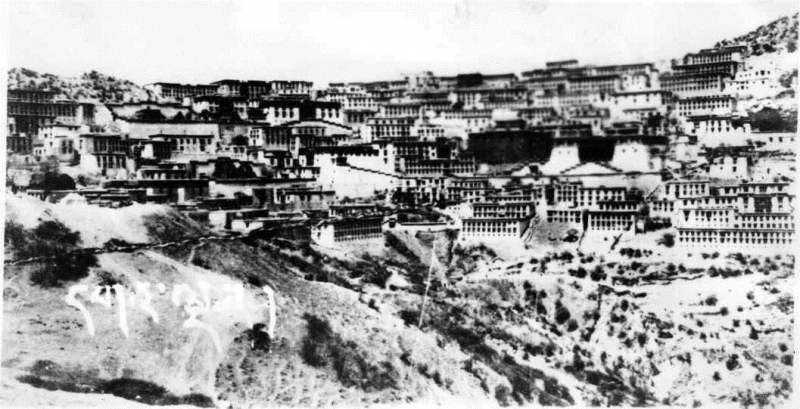 Gaden Shartse monastery was established in 1409 by Je Tsong Khapa (1357-1419). It was prophesied by Buddha Shakyamuni in the Manjushri Root Tantra. The main temple and over seventy buildings were completed in the year 1409. Je Tsong Khapa is the founder of the Gelugpa school (one of the four main Tibetan Buddhist school). By the end of 16th century the Gelugpa school emerged as the dominant one and started the establishment of the Dalai Lamas. Gaden Shartse is comprised of two colleges , Jangtse and Shartse meaning North Peak and East Peak. Both schools have about eleven divisions each specializing in study program of sutra and tantra. Copyright 2012 KNT Foundation. All rights reserved.